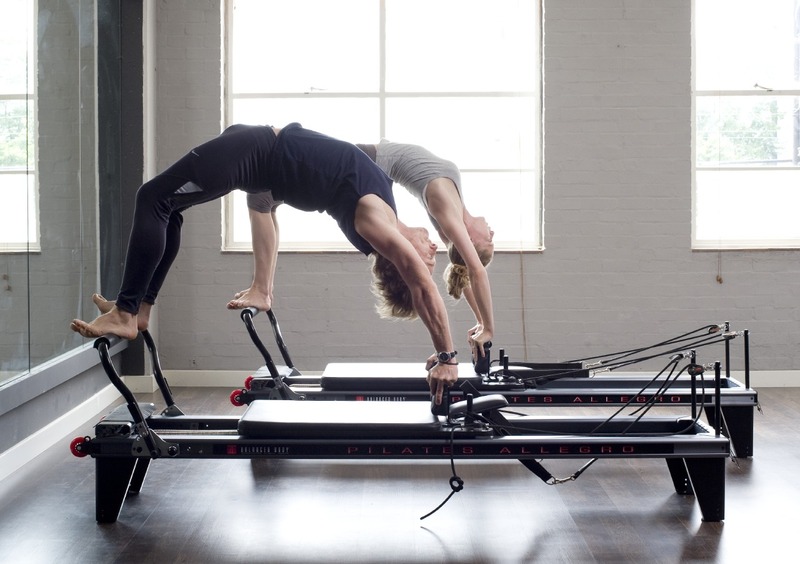 Ed shares a few tips and tricks on the reformer at our E8 pilates studio in East London. 1. What is your favourite song from a TP playlist? ‘Teach me how to be loved’ Rebecca Ferguson – Dec 13 Playlist, love it! We should have it on every play list. 2. What is your favourite London spot? Mildred’s vegetarian restaurant in Soho, Lexington Street (I’m a vegetarian wanna be) burger of the day with chunky chips – the best in London! 3. What is your Top Fitness or health Tip? The power of choice – health, fitness & a sense of well being: they are moment to moment choices in everything we do, what we eat and our attitude towards life. 4. Why do you like TP? I love the vibe – informal yet focused + the students who are willing to and want to work hard, to be challenged. It makes it a pleasure to teach at Tempo, a contrast to other places. 5. When you’re not at TP, what do you do? I’m a part time therapist, blogger in the making & always striving for virtue, decency and elegance. I love the written word & I’m passionate about self-development & my role in evolution. How Tempo Pilates changed my life…. This time last year, I was climbing Wayna Picchu in Peru, when I fell and twisted my left ankle. Abandoning my climb, I put the pain down to simply a bad sprain – blaming the damage on high heels! On my return to London, however, the injury seemed to be getting worse. A quick trip to A&E confirmed it was not a simple sprain – not only had I completely torn the ligaments and tendons, but I had broken my fifth metatarsal. I didn’t even know I had a metatarsal! After the lovely hospital staff explained which bone I had actually broken (the outer foot bone that joins the little toe to the ankle), I was also told my lower leg would be put in plaster immediately. The cast will later be replaced with a moonboot, and I may not actually regain the use of my left ankle for A YEAR. I was terrified. Not only am I constantly in heels, but I’m a hair and makeup artist for film and TV; a freelancer. I was looking at a year of being unable to stand, and unable to work. A month later the cast came off, and I had less than 40% of ankle movement. I diligently did my prescribed exercises but it was getting me nowhere. I knew I had to find a better option. During my time working in film and TV, I recalled numerous conversations with clients about the benefits of Pilates. Being a bit of fitness-phobe, I was obviously reluctant, but the fear of never regaining the use of my ankle drove me to book my first ever class. And so began my wonderful journey with Tempo Pilates. What I love about Tempo Pilates is their small classes (only 10 reformer Pilates machines) and the welcoming and friendly nature of their instructors (who know exactly when to push you!) I first attended the beginner’s class to familiarise myself with the terminology, and after that I did two classes a week for a month. When I returned to my physio, she squealed with delight (she likes ankles). My movement had increased to 65%, way above target. She asked what I had been doing, and when I said reformer Pilates classes she informed me it was indeed the very best for rehabilitation. Back at Tempo Pilates, I increased to three classes a week and was soon able to ditch the dreaded ankle brace, something my Doctor said I wouldn’t be able to do for another year! I did my first class in December 2013 and on the 2nd April 2014 my Doctor signed me off as “no longer injured!” Working with Tempo Pilates three times a week had transformed a 12 month recover into 16 weeks. I began working on films again and managed to wear those heels to my birthday party two days later! And then there’s the “other stuff” – better posture, less back pain, and the discovery of my core! Thank you Tempo Pilates! 1 – BANANAS – Great before a class, these creamy treats wrapped in yellow will give you a boost in energy, alongside lots of vitamins, magnesium and fibre. 2- ALMONDS – Another great pre-class boost! These little nuts are high protein, low G.I, and can also help lower cholesterol and aid weight loss. Have a nibble before a class for a successful reformer Pilates session. 3 – YOGHURT – Bone-building calcium mixed with muscle-building protein, yoghurt has been proven to aid weight loss as well as improve digestive health. Just watch out for dessert-style yoghurts with added sugar, though. 4 – PROTEIN – That means lean meat, fish, beans, eggs and anything that contains that all-important muscle builder. Protein makes you stronger, and fills you up at meal times, making it the PERFECT Pilates pairing. Woo for protein! 5 – CHICKPEAS – These little beauties are the perfect pre or post Pilates snack. Both high in protein and VERY high in fibre, just add pinch of lemon and salt and end your Pilates class with a low calorie nibble. 7 – SWEET POTATO – If you’re still craving a trip to your local chip shop, why not bake some sweet potato in low fat cooking oil and munch on a few healthy fries instead? Vitamin C, Vitamin D and B12 – sweet potatoes are also high in magnesium, which has been proven to reduce stress. That’s one smart carb! 8 – EDEMAME BEANS. Delicious with a little salt, these beans are packed full of protein and fibre, and of course count towards one of your five a day. High in protein and low in fat; the perfect reformer Pilates class snack. 9 – WATERMELON – Juicy, hydrating, and packed full of amino acids, which have been proven to help soothe the post-workout aches and pains (and satisfy those sugar cravings!) It also contains vitamins and fibre. Beyonce got it right, guys! 10 – CELERY – Food of the weight-loss Gods. This is the only food that actually burns the same amount of calories being eaten, AND gives you all those important vitamins. The perfect post-Pilates class nibble for those wishing to shed some pounds. So whether you want to eat light before hopping on a reformer Pilates bed, or crunch those cravings after a Pilates class, it’s food like these that are your saviour! Not only will your health improve with these shots of vitamins, amino acid and protein, but you’ll see the difference in your hair, skin, nails and body shape. Happy snacking!